A wide collection of yummy meals that are easy to prepare, the recipes are divided into neat sections with soup, salads, sweets, side dishes, and methods of cooking – frypan, casserole dish, or slow cooker. As few ingrediants have been used as possible, generally the basics every pantry has. A table is supplied that lists all the ingredients used, which is useful as you’re not stuck searching for them at the last minute. 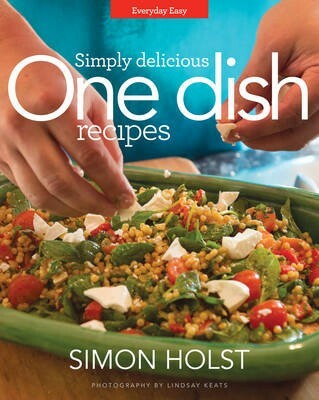 Great for busy people who don’t have or don’t want to spend much time in the kitchen, as while some recipes take a longer cooking time they’re all simple and don’t need a lot of prep time. I don’t enjoy cooking but have managed to make some dishes featured in the book and thanks to the idiot-proof instructions, they turned out delicious! Hyndman has generously supplied me with three copies to give away. Comment on this blog post by Sunday 7th December and I’ll put you in the draw. Open to NZ addresses only. New Zealand pilots and aircrew served not only in the RNZAF during World War II but also in the RAF. They took on many roles – fighter pilots, submarine hunters, night bombing and day bombing. The cost in lives was proportionately high, with bomber crews probably suffering the greatest percentage losses until quite late in the war. This is a story of the living and the dead. The book is a history of the New Zealanders serving in the RAF from D-Day until VE day, although there is a little bracketing either side for narrative continuity. The history moves forward in a roughly chronological order, with separate chapters devoted to each of the major branches within the RAF. Several aircrew continued the war at ground level with local resistance groups after being downed for any one of a number of reasons. Enemy action was not the only cause of lost aircraft or crew. While this structure works on one level, it also involves a degree of chopping and changing, and perhaps the following of each branch to the conclusion separately may have been better. 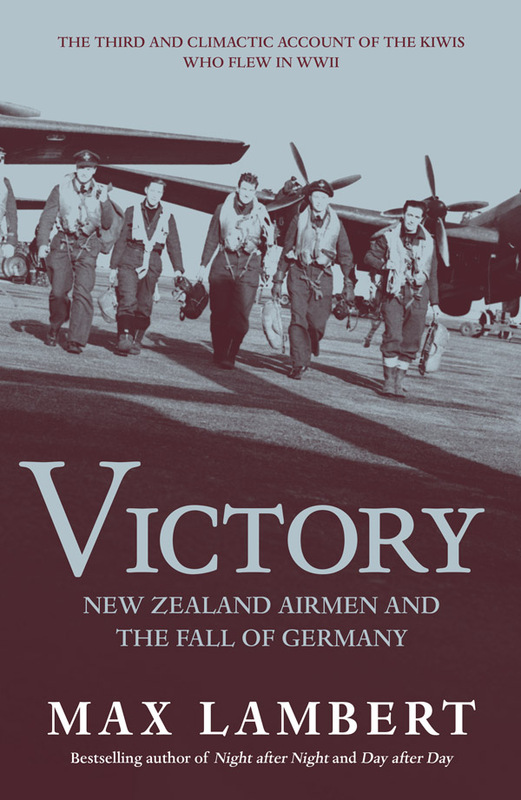 As this is the third volume in Lambert’s books on New Zealanders in the RAF, the others being Night after Night and Day After Day, there is a lack of examining the motivation as to why New Zealand aircrew were in the RAF and not the RNZAF. This appears to be due to Lambert working as a journalist for over 40 years. There are also no tables indicating the various win-loss ratios, personnel moving through a unit or other data to give a scale to the affair. But these may be the earlier two volumes. For those who like anecdotal history, this is probably a good volume. However, I like a bit more meat on the bones as it were, and found myself wanting to know more about unit histories, when they were formed, what airframes they progressed through and so forth. Though it is possible this information is found in the preceding volumes. On the plus side there are a number of interesting plates. If you like your histories more coffee table than substance, this may be your sort of book. However, for me it lacked substance and focus, and could have used a more forceful editor. Perhaps it needs volumes one and two to make sense. Michael proposes to his long-term girlfriend Katy atop of the Eiffel Tower. Her delighted yes will have an impact on the many lives around them. Leila is Katy’s best friend, who leads a glamorous life promoting films but is struggling to cope after her adored husband left her. Then her beloved mother has an accident and needs help which her sister can’t give, being a busy solo mum. Leila splits her time between her hectic Dublin lifestyle and taking care of her mum in Bridgeport, a small Irish community, while battling her guilt at not being there for her for years. Vonnie is an ex-pat American who owns THE cake store for Bridgeport weddings. Widowed with a teenage son, she has found love again with a divorced father of two girls. His ex-wife hasn’t accepted the divorce though and causes a lot of disruptions in their lives. Grace is Michael’s mother, a caring primary school principal who is long divorced from his father but has mixed feelings about seeing her ex-husband again. A former head of Vonnie’s step-daughter, she’s worried about her. The characters were interesting and likeable, with the story looking at the lives the wedding touches rather than yet another traditional love story. The various stories of the characters intertwine, showing how their lives overlap. The book has themes relevant to people’s lives, such as heartbreak divorce, family drama, eating disorder illness, aging, and most of all, friendship. 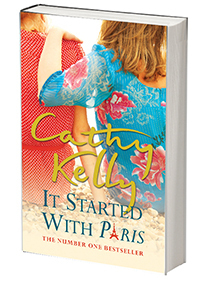 This is a fun, enjoyable read and fans of Cathy Kelly will not be disappointed. The “alternate earths” concept is not new in science fiction, there are even multiple role-playing games and campaign settings based around the idea, but I have to admit that Pratchett and Baxter have gone somewhere original with it. Apparently, it is all based on an unpublished short story, The High Meggas, which Pratchett wrote while The Colour of Magic was being published. Discussing the idea with Stephen Baxter in the 2000s led to this collaboration. Unusually, they haven’t gone for alternate history – there are no Britannias or Reichs here – but alternate biology, geology, even astronomy. And it is the latter that is the key to “The Long Mars”, because among an infinite number of Earths, there is the Gap, where Earth has been smashed to fragments by a catastrophic cosmic collision. Which makes it a whole lot easier to get to the Mars of the Gap. It’s a Long Mars, of course, which means that there must be sentient Martians out there somewhere among the infinite alternates of the Red Planet. While Sally, Willis and Frank explore the Long Mars in stepper-equipped modified gliders, Captain Maggie Kauffmann leads an airship expedition further west into the Long Earth itself than anyone has been before, to versions of the Earth that become increasingly alien. Closer to home is Joshua Valianté, and the problem of the Next; young people who despite their human appearance have somehow evolved beyond human. And let’s not forget the Datum itself, still devastated by the eruption of the Yellowstone supervolcano some twenty years after Step Day. 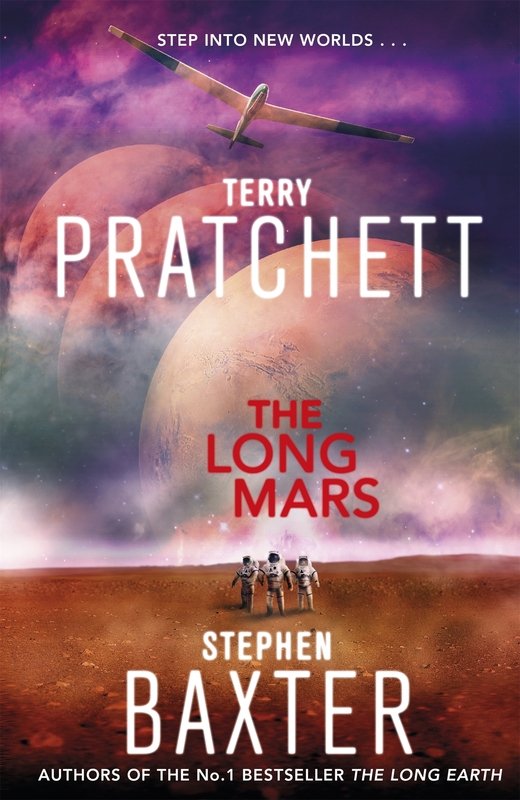 If that’s sounds confusing, it was… mainly because I came to The Long Mars without reading either of its predecessors, The Long Earth and The Long War. I loved the ideas here, but there was a bit too much going on, maybe even too many narrative threads. And at the back of my mind was a niggling doubt – not about the Long Earth itself – but about infrastructure and logistics, the practical issues of a series of new, wild Earths. Step sideways into an uninhabited Earth-like world… how long can you survive? How long does it take to build a civilisation from the ground up? Never mind having a sizable chunk of the Earth you came from being blown up and the rest thrown into the deep freezer of a volcanic fimbulwinter! Maybe it’ll make more sense with the two books in the series yet to come. I originally thought this was a book about New Zealand rivers, describing each river and the countryside it flowed through. It’s actually better than that. 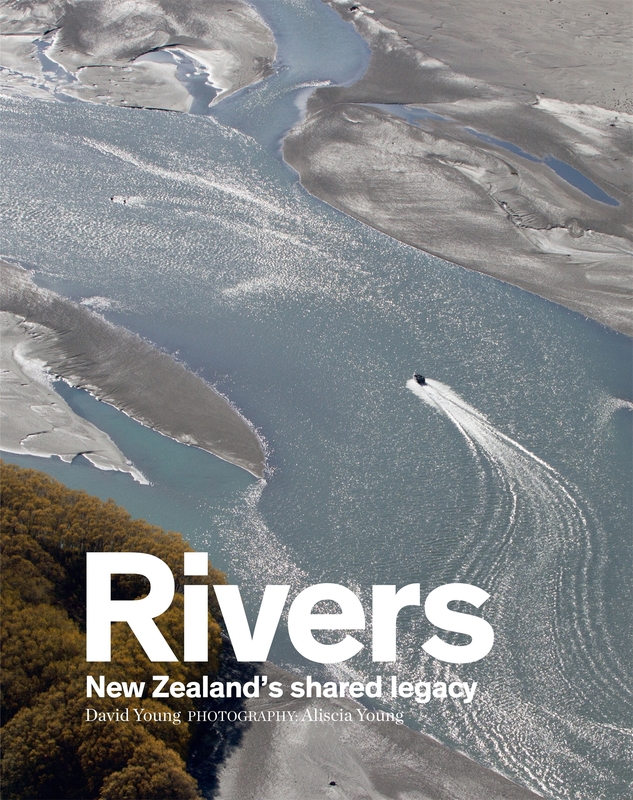 This book talks about each of New Zealand’s major rivers, from the Waikato in the North to the Rakaia in the South, and how people, both Maori and European, interacted with each river and how the river influenced the culture. For the history buff, this book is very educational, describing people and events that don’t usually turn up in standard history books, but who in their own way, put their mark on history and influenced what happened. Lots of excellent photos are scattered through this text. The book also explains why the Maori claim ‘ownership’ of the waters and also why we all New Zealanders need to look after our rivers. The water in them, as well as the life in them, is a precious resource that needs to be properly managed. In summary, this book is more suited for the historian rather than the geographer, but it is definitely an interesting read for those interested in NZ history. An experienced agent, James Bond is dispatched to stop a civil war in the small West African country of Zanzarim. A beautiful woman is to aid in his mission, which is to take out the leader of one of the warring parties. Everything goes pear-shaped and Bond is kidnapped, badly hurt, and the mission a failure. Bond goes on a ‘solo’ mission to exact revenge and ends up in the United States. He tracks down the bad guy who hurt him, a Rhodesian mercenary with a fondness for hanging dead people on tree branches. He also uncovers a horrible operation, one that is connected to Zanzarim. 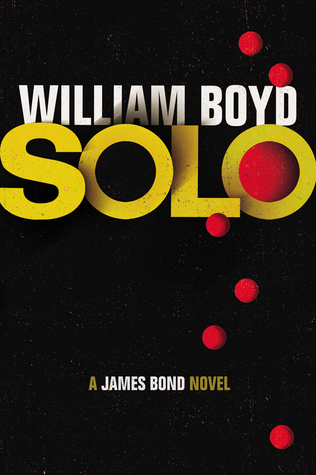 Alone and without the backing of Her Majesty’s government, Bond must crush the operation and save the day……..
Lots of action and suspense in this tale of the ultimate spy. The plot has a lot of twists and red herrings that leave you breathless and wondering what could possibly occur next. An exciting read that is a lot of fun and a must for fans of Bond. Okay, it is without a doubt, a fantasy brick. It’s a good 4cm thick, over six hundred pages, and the first of a new sequence in an on-going series. But it didn’t take nearly as long to read as I expected. There’s something about Robin Hobb’s prose that just draws me in and makes me want to keep reading. Her characters really come alive for me, and there aren’t so many of them that the reader becomes confused. Nor does she insist on killing them off just as soon as they get interesting! People die, certainly, but only when their part in the story is done. Her narrative is linear, it doesn’t duck and dive all over time and space, even though she chooses to use two narrators in this novel. Oh, and she does nice maps, too! 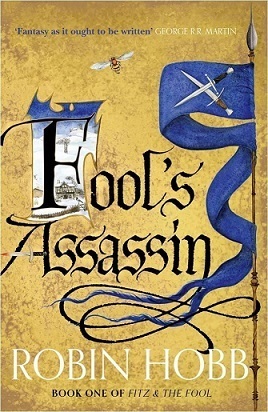 The tale returns to the Six Duchies and focuses on FitzChivalry, now well into his middle years, and known as Tom Badgerlock, lord of the country manor called Withywoods. To say who else the story belongs to would give away about a quarter of the plot, so I’ll leave it at that. Suffice it to say that the title does finally make sense around about p560 – which is not coincidentally about where the excrement hits the air conditioning… the pace picks up rapidly and things head towards a shocking climax, and ends on something of a cliff-hanger. Suffice it to say that I really am going to have to find the next part when it comes out, because I do need to find out what happens next. If there is any criticism one could back it is simply that it does take perhaps a few too many pages to get there, although I would be hard-pushed to suggest what might have been edited out. All in all, a great read, and I doubt seriously that fans of the Fitz will be disappointed.